Pick up at your hotel. Leave Ha Noi at 8:15 am for Ha Long City by a modern bus. 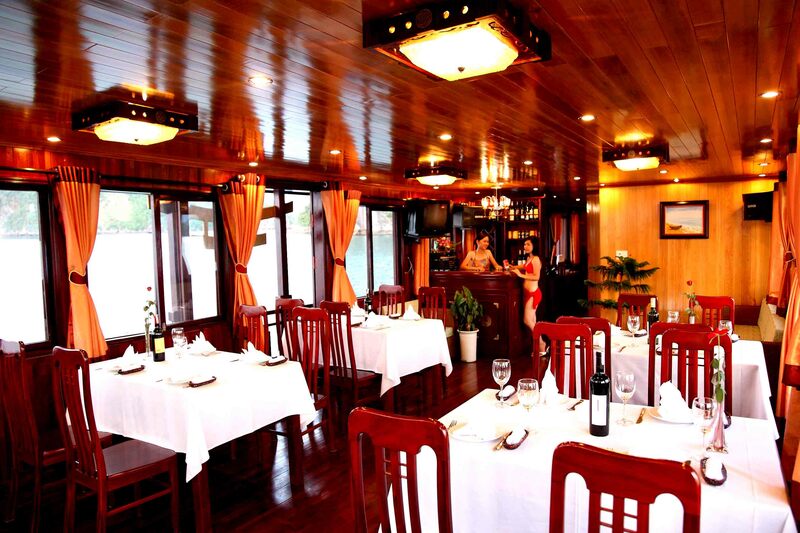 Get on Imperial Junk boat and enjoy a welcome drink and lunch of savoury local sea food. 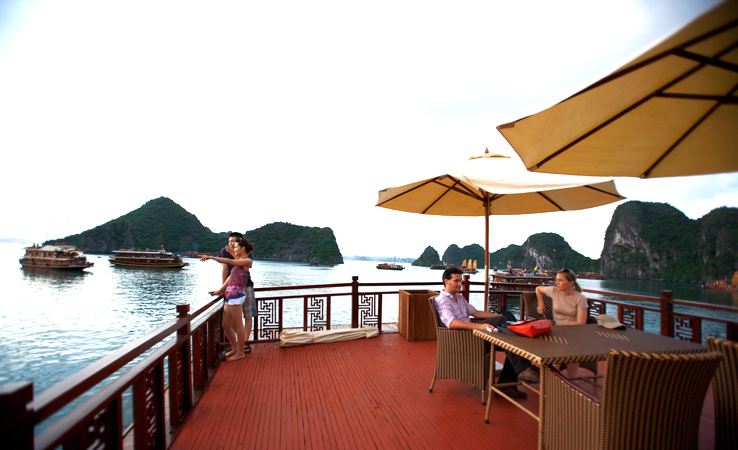 Check into your cabin and start cruising around the bay to see the amazing karsts with different formations: Lion, Tea Pot, Toad, Dau Nguoi (Human Head) islet, and then stop for a walk through the Sung Sot cave Amazing Caves. There will be plenty of time for swimming and sunbathing (If weather permitted) after the boat anchors at a clean calm sea. Enjoy a wonderful sunset dinner in our beautiful restaurant before retiring to the comfort of your cabin. Dinner and overnight in Imperial Junk Boat. Go fishing. Breakfast . Keep cruising. Visit the VAGIA floating village. 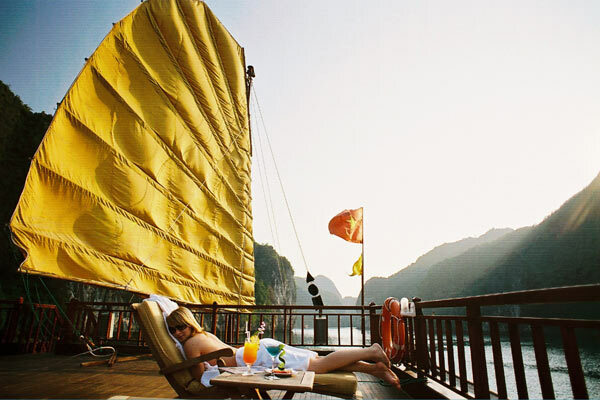 Kayaking then going to BaiTuLong Bay, the neglected area which is the most spectacular bay with islands in different shapes, have a look at HonGai market, Poet Island. Arrive in Ha Long City at 11.30 Am and get on bus to TuanChau island for lunch. 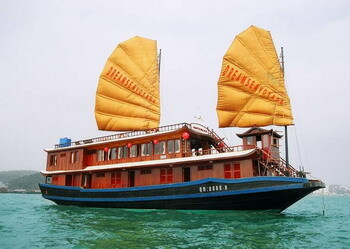 After lunch, return to Ha Noi and arrive in Ha Noi at 16.00 p.m. Tour ends. Airport transfer 1 way 30 USD for private car,$ 35 USD for private van. The price is subject to change according to each period.